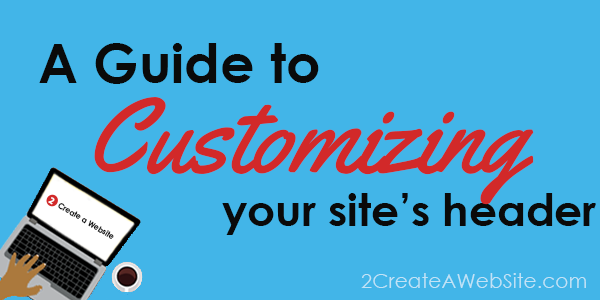 How much you can customize your WordPress header, starts with your theme’s features and options. Below are some tips for editing your site tile / header and how to find themes that make customizing it easier. Either one of these options should work. Some themes will even let you hide the title if you’d like. If your theme lets you upload a header, you’d see a “Header” link when you navigate to Appearance >> Header from the WordPress dashboard. If you do not see a header option, then you might not be able to upload an image. Also check Appearance >> Customize. Sometimes theme developers will stick the customization menu option here. 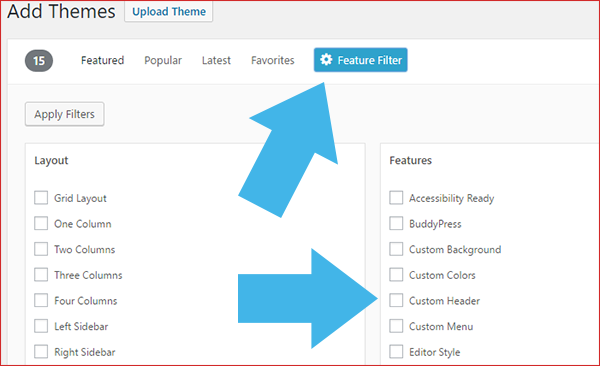 This will ensure you install a theme that has an option to upload or customize your header. StudioPress themes not only have customizable headers, but many of their themes have header widgets so you can add elements (text, ads, etc.) alongside your logo with ease. Also, most of their themes do not have full-width headers by default, but you can install the Simple Hooks plugin (free) and create one. It will automatically be mobile responsive, which means it sizes down on mobile devices. After you install the plugin, launch it by going to Genesis >> Simple Hooks from the WordPress dashboard, and look for the genesis_header box. This is the code I used on this site to make my large header appear on this Daily Dish Theme. Use the same code above in the genesis_header box except change the link to your own image. So your link will look something like yoursite.com/wp-content/uploads…..filename.png. Once you upload your header image to the Media Library, click it, and get the URL/link to your image. Replace my link with yours. You must have a StudioPress Genesis theme for this tip to work. I’ve been using StudioPress Genesis themes since 2011 and I love how there are so many plugins to help tweak your theme. I took advantage of their Pro Membership package so I get access to all current and FUTURE themes. Great deal! The price has gone up $100 since I bought it, and rumor has it, they will go to a monthly fee instead of a one-time fee. So grab it while you can. StudioPress Genesis themes are also notorious for offering a lot of widgets to make customizing your theme easier.